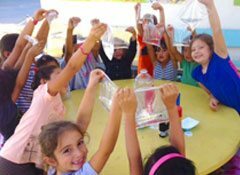 Providing quality after school and experiential education programs throughout Southern California. Programs customized to your needs, facilitated by staff from your community. All elements of our programs are structured, engaging, and hands-on. We expand on regular school day learning. Leadership curriculum is directly driven by our youth. Their involvement ensures a program they want to attend. We continuously improve programs through regular input from all stakeholders. We provide a one-of-a-kind curriculum that blends after school with outdoor ed to teach leadership skills. Staff are well compensated and receive a competitive benefits package. We work with you to create a program that meets the specific needs of your students. We work with schools eligible for grants to help secure funding for their programs. All staff are given ample training opportunities to enhance their skills and career. Every client receives their own support system made up of staff from all levels of our organizations. We are located at 70 public, parochial, charter, and private schools throughout Southern California. 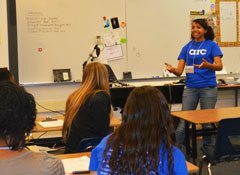 arc is an award-winning, nationally recognized after school program and experiential education provider. We bridge the opportunity gap by creating transformational learning opportunities that empower youth to realize their full potential. We work with over 9,000 students on a daily basis throughout Southern California.